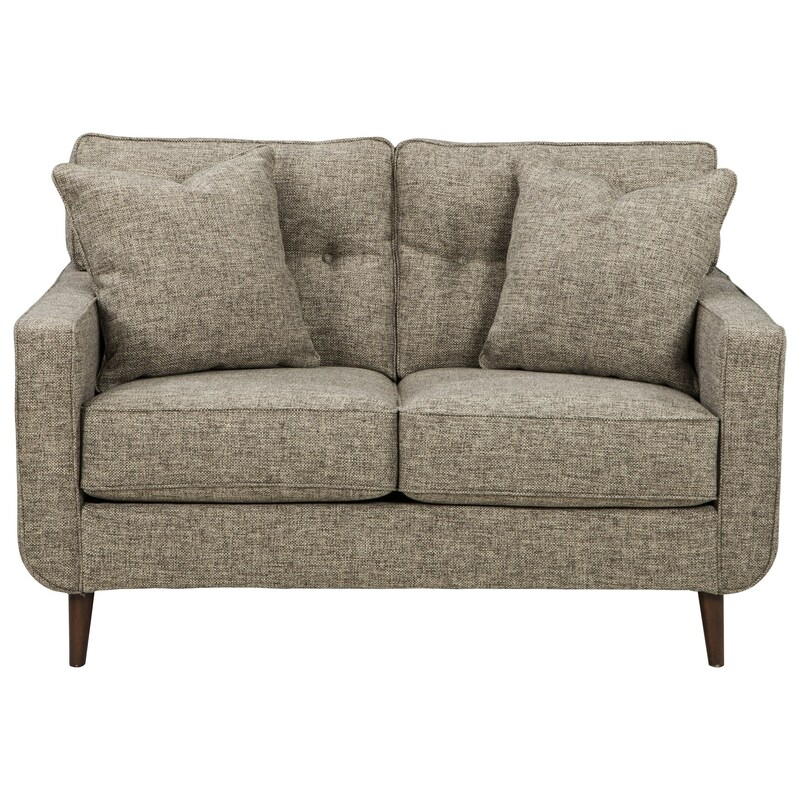 Show off your appreciation for modern furniture with this loveseat that takes inspiration from classic mid-century modern Danish design. Its tapered conical feet and neutral tweed upholstery are effortlessly cool. A single row of button-tufting on the back cushions and two square accent pillows complete the loveseat. The Dahra Loveseat by Benchcraft at HomeWorld Furniture in the Hawaii, Oahu, Hilo, Kona, Maui area. Product availability may vary. Contact us for the most current availability on this product. The Dahra collection is a great option if you are looking for Mid-Century Modern Contemporary furniture in the Hawaii, Oahu, Hilo, Kona, Maui area. Browse other items in the Dahra collection from HomeWorld Furniture in the Hawaii, Oahu, Hilo, Kona, Maui area.